FAA Part 135 Certified with Worldwide operations and ARG/US Platinum Rated. One of the paramount reasons why clients prefer to fly with Liberty Jet is their understanding of our rigorous private jet safety standards. Before an aircraft is even suggested as an appropriate choice for a mission, the particular aircraft and its crew must be approved by Liberty Jet's Director of Safety. To begin this process, we look for operations that have been evaluated by an independent auditing agency, such as Wyvern or ARG/US. This is to verify that the aircraft that they manage are operated under the most stringent measures. From here, individual aircraft and the aircraft's crew are reviewed and qualified, once and solely if they meet our required standards. Aircraft history; Pilot total time in all aircraft, multi-engine aircraft and aircraft type; Aircraft Insurance Policies; Flight hours in the past 90 days and 12 months; Complete pilot history including sanctions, incidents or accidents; Compliance of all standard Federal Aviation Regulation requirements. Liberty Jet maintains an ARG/US Platinum rating. 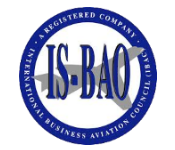 These ratings require us to maintain higher levels of safety than required by the FAA and report pilot and operational information on a regular basis. 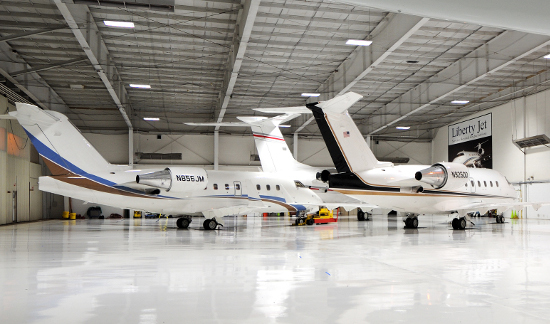 There is a significant cost associated with these ratings, but we believe it's an inherent necessity to assure aircraft owners and charter customers that Liberty Jet maintains standards above and beyond industry standards. Regardless of aircraft size or model they are passengers on, the aircraft and its crew are trained and operated by the industries best and most qualified flight crews. "This is the highest level that can be achieved within the ARGUS rating system. It is only awarded to experienced operators who meet the criteria for Gold and pass the ARGUS Platinum on-site safety audit. It requires a well-developed Safety Management System as well as a clear and workable Emergency Response Plan, effective policies and procedures and documented records for all major aspects of operations and maintenance within a flight department or charter company." To further our standards, Liberty Jet has developed, implemented, and maintains a full functioning safety management system (SMS), in accordance with the latest International Civil Aviation Organization (ICAO) guidance. Under this system, Liberty Jet is able to comprehensively analyze all of the operating functions and operating environment(s) of the company, identify any and all perceived hazards and risks, then design and implement appropriate risk controls. These functions include, but are not limited to the organizational structure, process and procedures, employees, equipment and facilities utilized by Liberty Jet to provide safe, professional and efficient transportation services to our clientele. As an industry, less than five percent of all operators have been able to accomplish this task. Liberty Jet's SMS is just another example of how we proactively monitor safety throughout our organization.